We have created a system of weights to complement VoloBlades*. ZB weights are sold as an accessory to VoloBlades. In order to use them they must be paired with VoloBlades*. 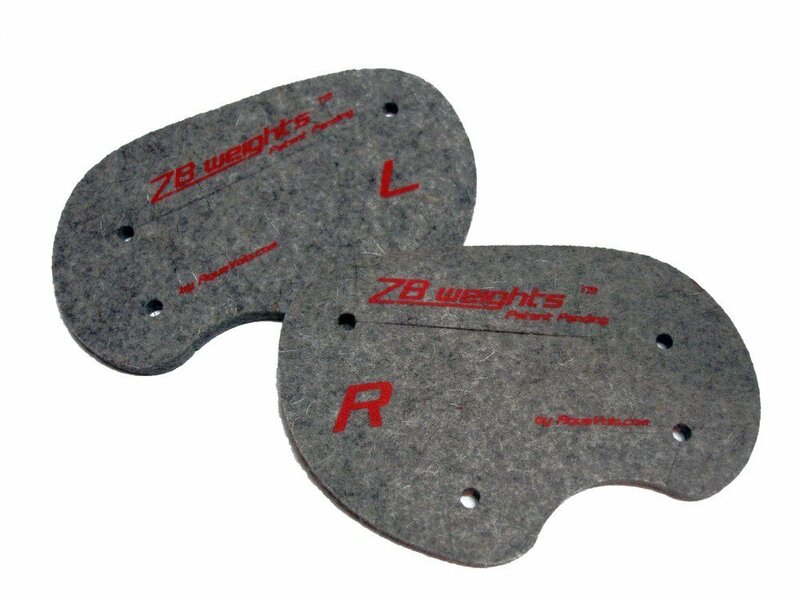 ZB weights are made from an industrial grade high density felt that absorbs water, and adds weight to our paddles during above water recovery. Underwater, ZB weights maintain a neutral buoyancy and provide drag without adding any effective weight -- just like DragSox! VoloBlades* plus ZB weights create a cycle of weight and drag throughout a swimmer's stroke, making for a great upper-body power training tool while promoting excellent technique. What is the size of ZB weights? ZB weights come in 1 size: 1/2" thickness.